Dogs are described as men’s best friend by most people and usually come in to your life when you decide to settle down. After all, you can not move around a lot with a dog, let alone travel the world with them. What if we tell you that that is not necessarily true? What if there is a way for all those adventurous dog lovers out there to let their new adventures be inspired by their furry best friend? 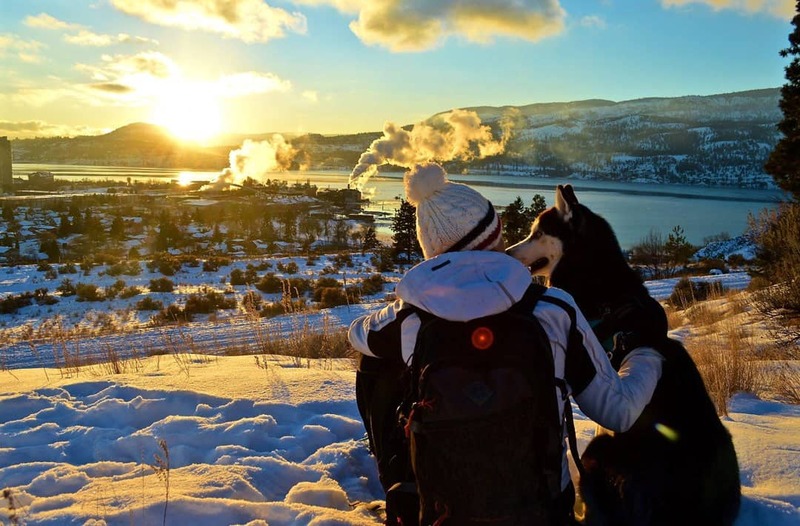 Not only is it nice to have your buddy by your side at all time (because we all know traveling can get a bit lonely sometimes), but how amazing is it to see different places in the world through the eyes of your dog? Moreover, dogs can help you make new friends easily once you’ve moved to a new place, you have to take them for walks right? Although there are some hurdles you need to take, a lot of planning needs to be done and you need to be (really) creative at times, it is possible to take your dog on your newest adventure around the globe (with the odd exception of course). 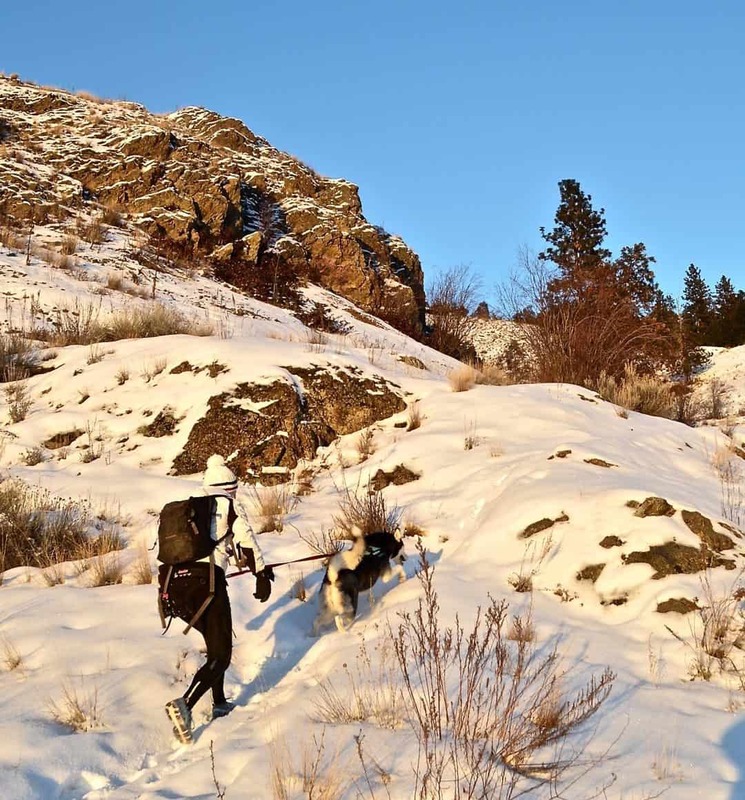 When you’re planning your next trip, keep in mind that some climates are not ideal for your dog. For example, your chihuahua would not enjoy a dog sledding trip to Scandinavia in winter or your Siberian husky would not like to go shopping in Dubai in summer. Although dogs are highly adaptable, it might not be worth it to get your dog used to a different climate just for a short trip. When you do decide to travel to a country with a different climate, lots of accessories can help your dog get comfortable until it is used to the new climate. For example warm coats, jackets, sweaters and boots for cold and snowy climates and cool down jackets and shoes for warmer more sunny climates. Yes shoes! You have to keep in mind that when it is sunny, the ground can heat up to high temperatures and it can burn your dogs pads easily. It is also important to keep your dog’s personality in mind. Just like us humans, some dogs are ‘home birds’ so to speak. They do not like to leave the comforts of their home and will not do great in a life on the road. Ideally, when you get your dog (as a puppy), take them with you where ever you go so they can get used to (and enjoy!) the traveling way of life. Once you’ve set your destination or planned a nice trip, the next step is to look at how your dog is going to travel. Are there any special regulations on importing a dog to the country of your destination? Each country has specific regulations your dog needs to meet before entering the country. To travel from a rabies free country to most European countries is pretty straight forward, it just needs to be micro-chipped and have prove of rabies vaccinations. Exceptions are the United Kingdom, the republic of Ireland, Malta, Finland and Norway. An additional tapeworm treatment is required for these countries. If you travel with a dog from a country that is not rabies free, you also will need a proof of a recent (not older than one year) rabies antibodies blood test of your pet. This blood test must have been processed by a laboratory that is certified by the European Union. Although the prevalence of rabies has gone down in the past decades, there are still countries which have quarantine regulations, like Australia. Your precious pooch could be ‘locked up’ for a minimum of ten days without you being able to see him or her. You will also need an import permit, veterinary certificates and rabies blood tests. All in all, it is a long and costly process to take your dog to Australia, you really have to be sure it is worth it! All these regulations and rules sound like a lot of hassle, but you keep your dog up to date on his shots anyway for his or her own health. It is just a bit more effort to meet the regulations of most countries. For more information of regulations per country, you can have a look on www.pettravel.com . You can travel with your pet in a lot of different ways, by plane, train, boat, car and by foot. All these different modes of transportation, bring different types of challenges with them. Let’s say you want to cross the Atlantic ocean by plane. There are a few options to bring your dog with you, in the cabin, as checked baggage or on a cargo flight. If your dog is small it might be possible to take your dog in the cabin. Most airlines have regulations regarding size (usually around 46 cm length x 28 cm width x 24 cm height) and weight (maximum of 8 kg) of the dog and bag. Unfortunately you are not allowed to have your dog out of it’s bag or kennel on your lap during the flight. Just to prevent your dog from running down the airplane aisle when dinner is served. If your dog is too big to fly in the cabin, it might be an option to transport it as extra checked baggage. This means that the dog will travel in the hold, where the pressure and temperature are regulated. You would have to keep in mind the temperature at the runway at the departing airport and airport of destination. It could be that your dog would have to wait a little while outside of the plane before it will be loaded on, this would not be pleasant if temperatures are below 0°C or above 25°C. For example, airline Emirates does not except pets to fly from and to or layover in the United Arab Emirates between the 1st of May and 30th of September, due to the high temperatures and humidity. To minimise stress on the dog, it is important to book a flight with the least hours and least amount of layovers. It might cost a bit more, but if there is a possibility to fly straight to your destination, please book this flight. If the journey would take longer than 17 or 18 hours or if the airline does not have the option to let your dog travel as extra baggage, it is advised to book the transport of your dog through a cargo company specialised in pet travel. This is the most expensive option, as your dog will fly on a cargo plane (so not on the same flight with you) and a team of airline employees will look after him or her before, during layovers and after the flight. The cargo company will choose the right flight for the dog based on e.g. temperatures during the day and night of the departing and destination airport. The only downside to this option is that there is a possibility your dog and you will not arrive at the destination at the same time. When flying into the United Kingdom and the republic of Ireland, due to strict rabies regulations, the only option you have is to transport your dog through a professional cargo company. It might be cheaper to fly into one of the neighbouring countries like the Netherlands or France and take either a boat or the train through the Eurotunnel. Most boat companies have kennels on board and your dog will have to stay in the kennel for the whole duration. Some boat companies will only allow dogs to come on board if they stay in a car, bringing your dog as a foot passenger is not an option then. Traveling by car and train is a little bit easier. In most countries dogs are allowed on trains and boats. There might be some conditions you need to meet. Some train companies let you take the dog without any problem, some train companies demand your dog wears a muzzle. Yes, we know, your dog is the sweetest dog in the world, but no exceptions! The strictest condition could be that the dog would have to travel in an dog crate. In some Asian countries, like Vietnam, pets are not allowed to travel by train (or any public transport for that matter) with the odd exception. Traveling by car is by far the easiest option, you can stop whenever you want and take your four legged friend for a nice walk or have some playtime. Having, buying or renting your own car will also give you the freedom to go where ever you want us travellers like so much! For all journeys by plane (or sometimes trains and cars), you will need to get a International Air Transportation Association (IATA) approved travel crate for your dog. The travel crate needs to meet certain regulations to ensure the safety of your dog during travel. Your dog needs to be able to stand erect (ears not touching the roof of the crate), sit, turn around and lie down in a natural and comfortable position. Most airlines only accept crates made of sturdy plastic with a wired door. Air ventilations holes need to be present on all sides of the top half of the crate (most crates exist of two halves you can attach together with bolts and nuts) and a locking mechanism needs to be able to lock the wired door from the outside. As we all know, traveling makes you hungry. So to be able to give your dog water and food when it is in the crate, you will have to attach little containers on the inside of the wired door. If you want to know the exact regulations by the IATA, you can have a look on http://www.iata.org/whatwedo/cargo/live-animals/pets/Pages/index.aspx. Make sure you check the regulations of the airline you are using as well. Most of the time they are the same as the IATA, with some exceptions. Some airlines offer you to rent IATA approved travel crates for your flight, this is really handy, cause you do not want to travel around dragging the crate along with you. It can be difficult to juggle your luggage and a dog at the same time. It might be worth investing in a waist harness to attach your dog to, so you have your hands free to look at the map without worrying he or she will run across the road. Before you start any kind of trip or journey, you want to make sure your dog is in perfect health to travel. Take your dog to the vet and get him or her all checked out. Most airlines require a health certificate that is signed by a vet as well, before your dog is allowed to board the plane. All the journeys and trips you will make with your dog will at least cause a little bit of stress. It is important to prepare your dog for travel. After all, you want your dog to enjoy travelling as much as you do! If you have to use a crate during traveling, let your dog get used to his travel crate long before you will actually have to use it. In this way he or she can get comfortable with the crate and even feel safe being in it. Associate the crate with nice things, like special treats and toys. Maybe put the crate in the living room for a while and praise your dog every time it decides to go in. Perhaps it is possible to use the travel crate as the dog’s daily crate (if you use one) and let him or her sleep in it every night. What better way to make your fur friend comfortable during traveling than to bring his own ‘house”? Just as you have to get your dog used to the travel crate, you also have to get him or her used to the way of traveling. Planning a long road or train trip? Start with short trips first and associate them with fun destinations (like the dog park or pet store). In no time your dog will go absolutely nuts when it hears the words ‘car’ or ‘train’! We as travellers like to indulge in the local cuisine and explore the rarities each country has to offer, however, your precious pooch might not do well on a diet of fried scorpion or hamburgers with extra bacon. Luckily a lot of well known dog food brands are available in most countries worldwide these days. Before you leave on your travels, look into the brands and kinds of dog food available in your country (or countries) of destination. You might even be able to switch to a more worldly known brand before you leave so your dog can continue the same diet. Unfortunately you won’t be able to take dog food with you across most borders, due to import regulations, so make sure you research where to get the dog food you need! Find the local pet stores or even contact the hostel/hotel you will be staying at if you can get some dog food delivered there before you arrive. During your travels, your beloved pet might be locked up for periods of hours without having the possibility to relieve itself. On the day of traveling or long journeys, put restrictions on how much water and food your dog will get. If you are traveling in the morning, get up early to take your dog for a long walk. Not only will your dog be able to do his or her business, it will also tire them out which makes them more relaxed. To avoid your dog getting sick or having a full bladder on for example the plane, feed your dog between 6 and 4 hours before the flight and give a minimal amount of water. Obviously minimal amounts of water can cause dehydration in animals, so to avoid your dog from dehydrating you can use frozen water bottles as a trick. Freeze plastic bottles of water, wrap them in aluminium foil, make a little hole in the top and the cap of the bottle and attach them to the wired door of the crate upside down so when the water melts it slowly drips down in to the plastic container and your dog can lick a few drops of cool water at a time. Regardless of your time schedule, always give your dog the opportunity to have a pee or poo just before hopping on the plane, train, boat or in the car! More and more hostels, hotels, restaurants and stores around the world are changing their policies regarding bringing your pet with you. As once said by an employee of a hotel: “We never had a dog that smoked in bed and set fire to the blankets. We never had a dog that stole our towels and played the T.V. Too loud, or had a noisy fight with his traveling companion. We never had a dog that got drunk and broke up the furniture. So if your dog can vouch for you, you’re welcome too.“. Spending the night with your furry friend in the same bed has never been easier. There are some great websites, like www.BringFido.com, where you can find places to sleep, eat and play with your dog in more than 100 countries. Always call before hand to make sure their policy regarding pets has not changed! You do not want to be surprised when you stand at the reception desk of a hotel in New York with 3 bags of luggage, a travel crate and your hungry dog causing one of the well known mini breakdowns after a long day of travelling. Another way to make sure you can spend the night with your dog is to go back to basics and go camping. What is more fun than to spend the whole day outdoor hiking, fishing, sigh seeing and spending the night together under the starry sky? Camping with your dog does require some practice if you don’t want your dog to shred the canvas of your tent or to raid the cool box you just filled with your favourite snacks in the middle of the night. Set up your tent in your own back backyard a couple of times and encourage your dog to come and join you in the tent. So you set your destination, made a plan, traveled all the way to get there, checked into your accommodation and then what? Believe it or not, just like us dogs can actually get jet lagged! Your dog’s daily routine will be messed up just like yours depending on the time difference you are crossing. A good way of dealing with it is to take your dog for long walks and let him or her get used to the new surroundings. This is beneficial for you too as you get the chance to go explore! Traveling can cause dehydration, so it is important to offer your dog lots of water. Even if it means you might have to get up in the middle of the night to let your dog out (which might happen anyway because of the jet lag as your dog is probably used to getting walked at certain times). The most important thing is to look and listen to your dog! He or she will let you know when it is uncomfortable, needs to rest and do not push your dog into doing something it really does not like or can not handle. Always make a plan B to be able to fall back on when your initial plans fall through. You do not only have to think about yourself anymore, but have to make sure your dog is always taken care of. Traveling with your dog can be an amazing way of strengthening the bond between you two as you have to trust and rely on each other. There is no better feeling than to look at your dogs face when it experiences something new and exciting like seeing snow for the first time or chasing never before seen (not dangerous) wildlife! Mieke and her partner Andy have been traveling the world since 2011. In 2015 a life long dream came through by adopting a little husky puppy named Tron while they were living in he mountains of northern Vietnam. While everyone thought their traveling days were over due to adopting a dog, they proved everyone wrong by taking Tron on all of their adventures. Since then, they visited 3 continents, many countries, taken flights, buses, boats, sneaked Tron onto trains and done many road trips. All their adventures are inspired by the big smile on Tron's face when he experiences something new or gets to put his head out of the moving car window. 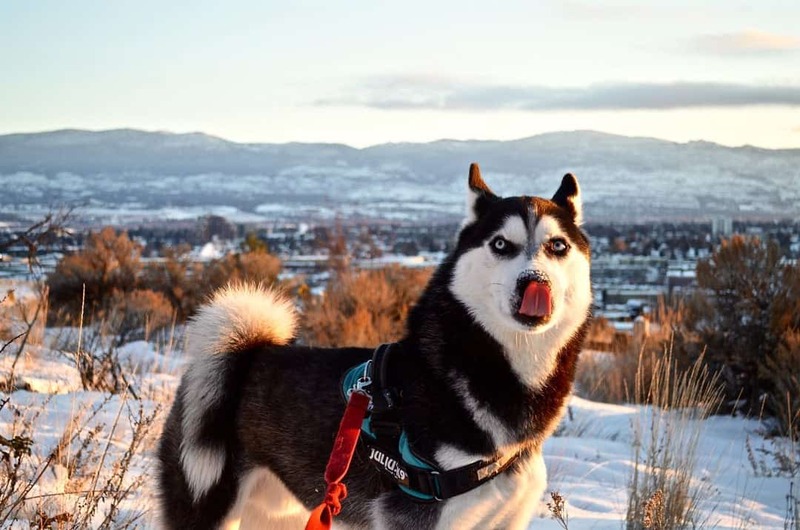 Follow their stories on Tron the Traveling Husky Dog and get inspired to take your furry best friend on your next trip! Hello Mieke! Renee here. I really can’t seem to find an airline that has kennels available for renting. Do you have any names you could give me? Hi there! I’m enjoying reading your post, it helps a lot because currently we’re planning to travel with my pet and according to her vet in the exotic animal hospital they will give us medical certificate since this will be our first flight and they give us also recommendations and tips as well. Currently I am based in China and together with my husband we saved a puppy. Everyone is telling me that I really have to think about my choices, because this dog will end my travellife. I am only thinking I have a new travelbuddy! I am so happy to read your inspiring article and I am ready for a whole new adventure. Although traveling in Asia with a dog might not be the easiest. Meybe you can share some tips about that? We were thinking of renting a van and take her with us on a roadtrip in China…. Hi Esther, thats great you saved a pup. The little one would be thankful. Definitely a dog is for life. It is a family member. It will be great to travel with but do check the regulations for every country as I know some in Asian counties are strict. Do keep an eye on your pup in China and other places in Asia as they can be taken for food. This is such a terrible and sad thing and should not be happening but still does. Just heads up with renting a van/car in China, foreigners are not allowed and if you do have your own vehicle you have to have a local guide with you at all times. Do check into this as things may have changed. We wish you all the best.